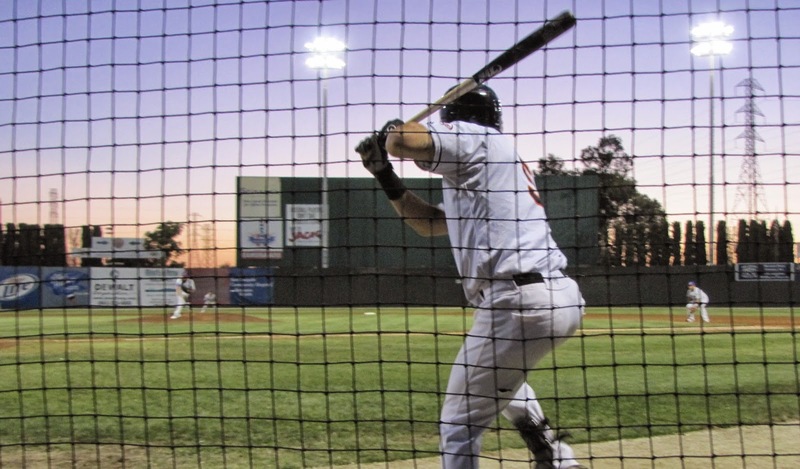 Jim Blueberg went from a kid who didn't make his high school team to a college player who had multiple scouts following his progress almost overnight. 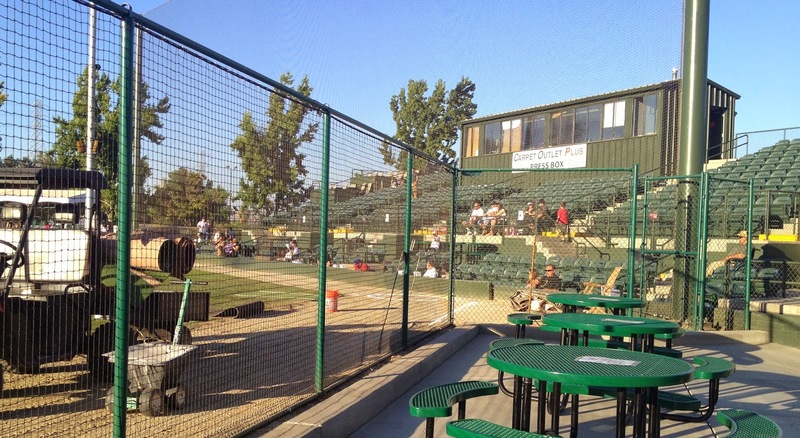 In his second year at Yuba College in California, Blueberg could hit 90 on the radar gun. He was also a pitcher who had turned into a professional prospect. "It never really bothered me, all these people staring at you and everything, at least not initially it didn't," Blueberg recalled to The Greatest 21 Days. "I just did my thing. It was just me and the glove and competing and whatever happened happened. "I always had the mentality that, you know what, this was all a pipe dream and I'm just lucky to have the opportunity and I'm going to go for it. ... That was my mentality and still is." Anything more than that, Blueberg recalled, and he feared overthinking it. He tried to keep it simple. That approach paid off in January 1986 as Blueberg was selected in the second round of that month's draft. Blueberg found out he was drafted from his coach at Yuba, Gary Engelken, called him into his office and relayed the news. "When I heard the second round," Blueberg recalled, "I was actually genuinely, genuinely surprised. I did not know I was going to get drafted that high." From that start, Blueberg went on to a six-season career. Years later, he also turned that start into a job with the New York Mets as a scout covering California, Nevada and Hawaii. Blueberg spoke to The Greatest 21 Days recently by phone from his Nevada home and before heading out on a scouting trip to Hawaii. The father of three tracked his career from a failed high school tryout to his successful college stint and on to the pros. It was seemingly only injury that stopped him from making the majors. He then went on to a lengthy career in the steel industry. After all that, he then returned to the game in 2011 as a scout for the Mets. After hearing from all those scouts in college, though, Blueberg never heard from the team that drafted him, Seattle. He didn't recall talking to them until after the draft. Part of those talks was the matter of the deal. He handled that with the scout who drafted him, Bill Tracy. Blueberg had a free-ride to Fresno State. The first offer was $8,000, Blueberg recalled. After going back and forth, they finally settled on $23,500 and Blueberg signed. "I thought I made a great deal until I got to Bellingham and found out the first-rounder got $85,000 and I realized I got hosed," Blueberg recalled with a laugh. It was Blueberg's first business deal. But he would get better, especially later when he ran a steel business. Regardless of how much money he got, Blueberg was a pro. "It was a kid's dream, you know?" Blueberg said. "It was different guys, everybody was motivated, everybody had different backgrounds. It was fantastic. I enjoyed every minute of it." "I was a player that knew it was a gift," Blueberg continued. "I never felt that it was owed to me. I tried to enjoy and embrace all the moments." Blueberg got 14 starts that first year at Bellingham. He went 5-6, with a 3.69 ERA. He played there with future major leaguers like Rich DeLucia. 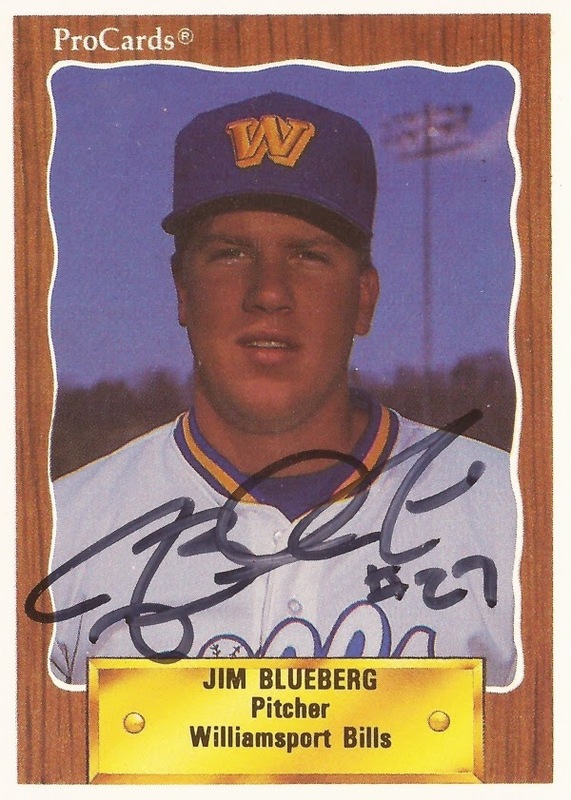 In 1987, Blueberg moved to the Midwest League and single-A Wausau. Soon, though, his arm started to hurt. After one outing, he recalled he woke up the next morning and he couldn't lift his arm. He ended up back in Seattle with a diagnosis of torn ligaments. After surgery, he rehabbed the rest of that year and all winter to ensure he'd be ready by the next spring. "It was a scary feeling," Blueberg recalled, "because you don't know if you're done or not." He wasn't done, but the early part of the next season it was still painful. The pain came from the scar tissue that he had to break through. For the first month of the year, he recalled having the feeling like somebody was driving an ice pick into his shoulder. "But," he said, "it was do it or don't. Every now and again I could hear a sound like a shotgun went off in my ear. It was scar tissue breaking. ... 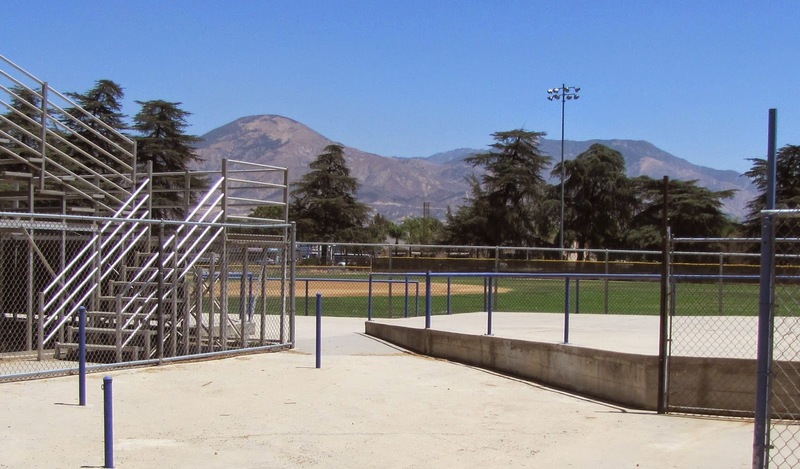 When it finally went away, it went away altogether and I pitched for four years pain free." He pitched well enough on his return to be sent to San Bernardino and the California League. He went 12-10 that year, with a 4.79 ERA. He made the league all-star team on the strength of a good first half. He started to struggle as the innings went by in the second half. He then returned for 22 more starts there in 1989, with a 2.12 ERA. 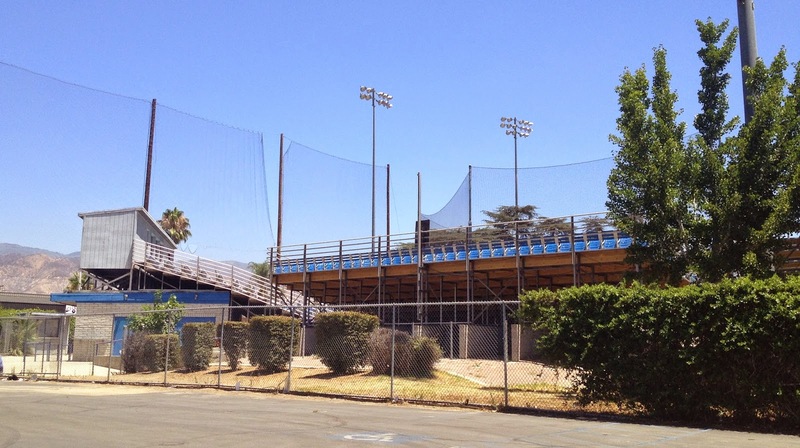 Blueberg did well enough at San Bernardino for a six-start look at AA Williamsport in 1989. He also did well enough at San Bernardino, meeting his wife Heather. They've been married 23 years now. After meeting her, Blueberg recalled the team won his next nine starts, Blueberg got the win in seven of them. 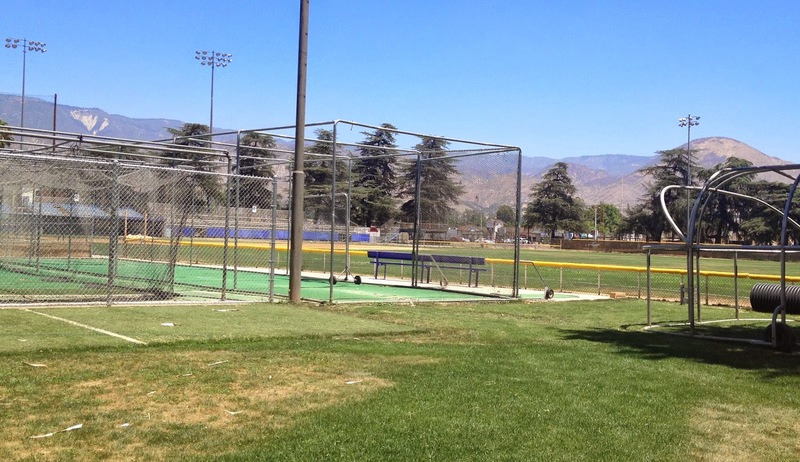 Those first few years, Blueberg recalled he started working on his pitches. He had a fastball and kind of a slider to start. His first year, the team took his slider away and taught him a curveball. They started incorporating his slider back in at Wausau when he got hurt. Later, in his fourth or fifth year, he added a changeup. "I went from a thrower to a pitcher, but it took about six years total for the maturation process," Blueberg said. "About the time I got really, really good, I got hurt, which is sad because I spent all that time figuring it all out and then I blew my arm out. "But I signed up for it," he added. "It could happen to anybody." In those later years, there was talk at more than one point of sending him up to AAA. Even at AA, there was still a shot of getting a call up directly to the majors.